For both type 1 and type 2 diabetics, alcohol can play havoc with blood sugar. Cut down to one glass of wine or beer with your meal. Beer, cider and sugary drinks can cause blood sugar spikes while spirits can cause hypoglycaemia. 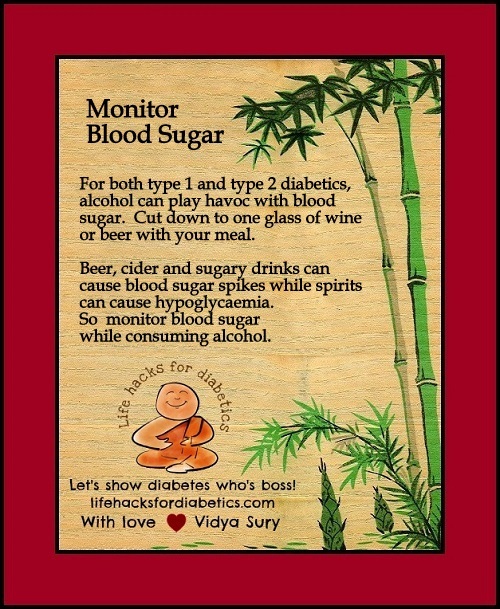 So monitor blood sugar while consuming alcohol. Thank you Vidya 🙂 Good to know.